Sunday Homilies from St. Sophia Greek Orthodox Christian Church in Bellingham, Washington. Many of us struggle with overcoming our pasts. The story of St. Mary of Egypt is one of a bad early life that led to a good adult life. She struggled, with the power of Christ and mentorship of the Theotokos, to create a new life of constant repentance. Her story of repentance is so powerful, that the Orthodox Church lifts up her life story on the Fifth Sunday of Lent as an example to remember and imitate in our own struggle of repentance that leads to a good life with Christ. An explanation of the the Icon of the Ladder of Divine Ascent. The Church Fathers designed this Sunday’s Mid Lent adoration of the Holy Cross to be a consolation and and inspiration to those who are struggling to repent. We are blessed to be Orthodox Christians because it is a faith based on the teachings of Jesus Christ, His Disciples, Apostles and saints. Icons are not "idols" because while idols depict figments of imagination, icons depict reality... the reality that Jesus Christ is fully God and man, God among us. The difference between "ancestor worship" and the true veneration/honor of saints. We are blessed because it is in the Orthodox Church that God meets His People, and His People meet their God. Great Lent is the great search for the "normal life" found only in Christ. What the Church sings about this Sunday's them of the Exile of Adam from Paradise. Why did Adam cry the most bitter tears of all mankind? The true treasure found in waking with God versus the pseudo-treasure that Satan uses to deceive us. How a priest's number one job is to convince everyone that we are already rich in Christ. Lent is the willful entering into a "spiritual desert" in order to strip away all the secondary and tertiary things in our lives so that the essential things can appear to us. Judgment is paradoxically and mysteriously part of the Good News. Orthodox Christians are called to revere God’s judgment. How the Christian Parable of the Prodigal Son differs from the Buddhist Parable of the Prodigal Son. St. Paul addresses the Apostle Timothy on how to be an apostle: Learn what the Church teaches. Teach competent people to teach the Gospel. Be soldier-like in your discipline in doing the work of spreading the Gospel. The example of St. Haralambos. The Context of the parable. What do the symbols of the Parable of the Talents teach us? How did two servants double their "investment"? Why did the one foolish servant completely fail? Zacchaios is a model of how to hear and respond to the Word of God. What really pleases God: our fellowship with Him. Our Lord God is good and compassionate. We should never fear to return to Him. We have a God we can admire and love. Gratitude is the reason for the Liturgy. This morning's Gospel passage shows that Repentance is about Two things: 1) Realizing that Jesus is God and has done great things for us, and 2) Return physically to His presence to give thanks. Like the one grateful healed leper, return to Jesus to give thank... making plans to return to be in His physical presence. 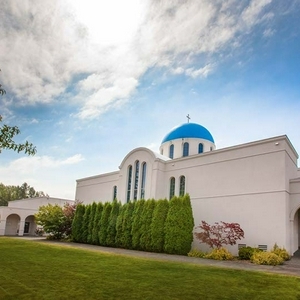 For Orthodox Christians, this place is in the Church, the Body of Christ, Sunday mornings for Divine Liturgy. Why do Orthodox Christians call Jesus "the Word"? After His Baptism, Jesus begins his preaching ministry. Jesus saves by words and teachings. He regenerates men's lives by teaching and persuasion. Even his miracles Jesus meant to draw people to his teachings. Jesus' preaching ministry has never ended and never will end, but continues through the ministry of the Church. The Genealogy of Our Lord. Why the Orthodox Church still reads this passage just before the Christmas Feast. Jesus descends from a real family, warts and all. The Genealogy is a type of creed, a statement of faith. Jesus gives a parable about worldly entanglements and lame excuses. We live in a land of exile while anticipating the Heavenly Kingdom promised by Jesus Christ. Jesus entered the land of exile in which we live to draw us to paradise. Do not fall in love with exile. How should Christians live in exile? Jesus does not "work" on the Sabbath when He healed the woman, but did what God does: He cared for His Creation. God created the Sabbath so that we would remember that He liberates His people from Slavery and that it is the Lord Who makes us "holy." The Divine Liturgy is a call to holy rest. Bartimeaus, the blind beggar healed by Jesus, shows what pure prayer is like. Jesus heard his pure prayer. The blind man shows us that the model of evangelism is simple: share your story of what Jesus has done for you. Spreading good news bears fruit, as seen in how the blind man's story prepared Zaccheus the tax collector to repent before Jesus. The concept of "a camel going through the eye of a need" as a metaphor for detachment from the world and a maturing faith. The portal to heaven is a narrow door... but Jesus is "THE Door." Why Jesus objected to being called "Good teacher." Did the ruler consider himself "righteous" because of his accumulated wealth? Did he consider that heaven was guaranteed for him? The Old Testament context of this parable. How the "Prosperity Gospel" fails when we look at the life and teachings of Christ and His Saints. St. Paul calls Christians to live a "worthy life" in Christ. The Law of Moses was meant to gather a stiff-necked, childish people to make them His "People" awaiting the coming of the Messiah. The Good Samaritan is an icon of Jesus Christ. One who understands this parable will understand the mystery of the Incarnation and the true path to salvation. What a Shock! God's Power and Grace Radically Heals Those Who Stand In Christ's Presence with Faith. Orthodox Christians understand natural phenomena, but use this understanding to be humble and grow closer to God. Homily on the 4th Sunday of Luke. Parable of the Sower. While Jesus provides everything for us, he cannot cultivate hearts for us. Because Jesus respects our free will, he leaves it to each of us to cultivate our spiritual lives. 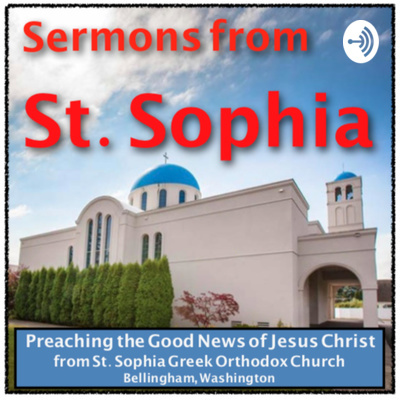 The very first episode of Saint Sophia Greek Orthodox Church of Bellingham, WA!